Cream City Swing Dance 9-11 & Care Package Fundraiser Thank You! A HUGE THANK YOU to Cream City Swing for hosting a fundraiser for On Purpose Journey (and the Milwaukee Fire Dept’s) 9/11 Tribute Events, Care Packages for some of our deployed service buddies, and a memorial tribute for our beloved friend who got her wings on 4/1/17…Lynn Simmers. To all who planned, donated, attended, and supported the event–you all are amazing!! A special shout-out to these incredible people/companies for making this a successful event! 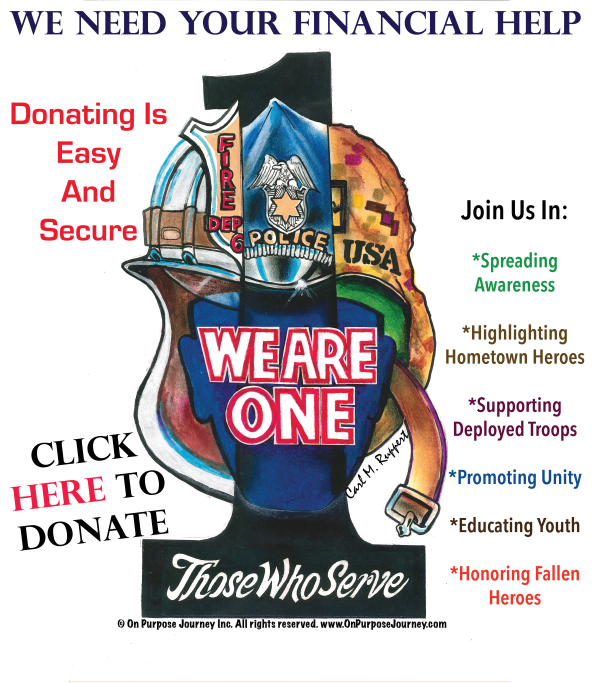 Thank You for supporting our firefighters, law enforcement, military, and veteran heroes! !